The underpass towards Nayandahalli, connecting north and south Bengaluru, has been in dire need of lighting for quite some time now. 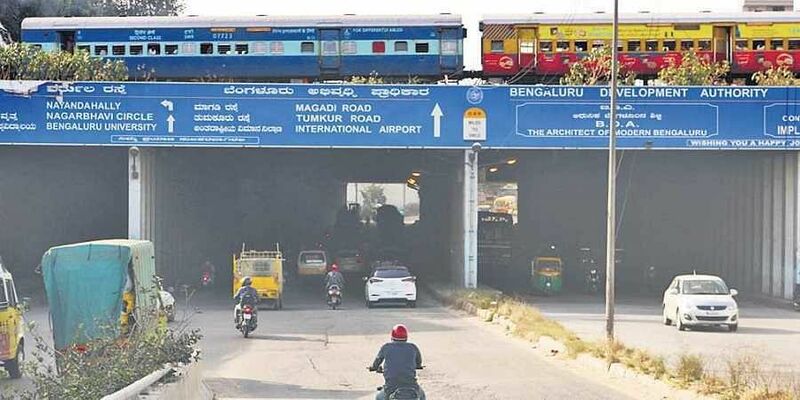 BENGALURU: The underpass towards Nayandahalli, connecting north and south Bengaluru, has been in dire need of lighting for quite some time now. While a similar underpass towards Vijayanagara has LEDs already in place, the one at Nayandahalli has fallen prey to the regulations by the Bureau of Indian Standards (BIS), which has not allowed the Bruhat Bengaluru Mahanagar Palike (BBMP) to import specific types of long-life LEDs called ‘Sleek’ from Russia, said a senior BBMP engineer. The Russian company has opened one of its major manufacturing units in Jigni near Bengaluru. For months, citizen groups and commuters have been bringing up the issue with officials, but nothing has been done. While the BBMP had then claimed that the underpass will be equipped with LEDs soon, availing such bulbs for mounting is one of the many challenges the electrical department of the Palike is facing.